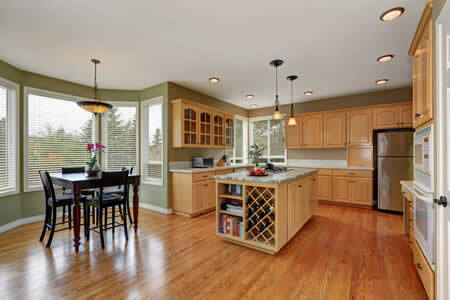 However, there are some guidelines based on national surveys of kitchen remodeling costs. These value are based on what people actually spent, so it reflects the whole range of possible costs. 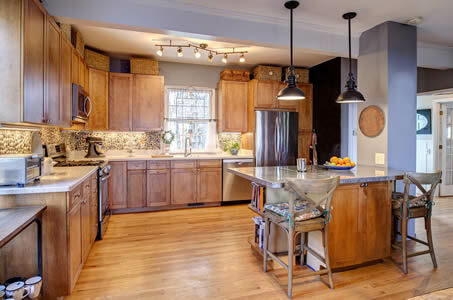 On a national average basis, the average total cost of a complete kitchen remodel ranged from $7,125.00 to $37,255.00. 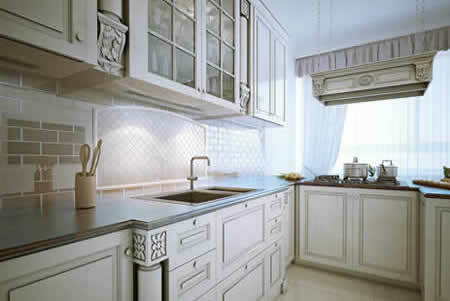 What you have to keep in mind is that you can spend much less – or much more – on gutting and rebuilding your kitchen. These are averages for complete jobs which were done by a contractor, or general contractor – not by the homeowner. Also keep in mind that even the choice of one part of the kitchen, like a countertop can result in a significant swing in the cost of construction. 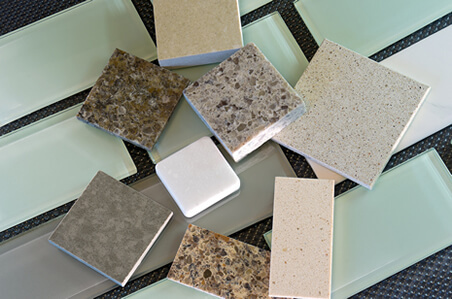 The cost of a Formica countertop by linear foot is much less than the cost of quartz or granite. When it comes to pricing, it’s also very important to keep in mind that you must maintain a balance between the value of the home and the quality of the kitchen. That means, your kitchen renovation should be in line with the overall values of homes in your neighborhood – and the types of kitchens they have. If you over-improve your home, you will not see a return in your investment, and when selling it, you’ll probably overprice your home to try, making it harder to sell. If on the other hand, your total kitchen renovation is of lesser quality than found in similar neighborhood homes, you’ll be wasting your money on a kitchen renovation. A potential new buyer may offer less, thinking they’ll have to gut and re-do the kitchen – that you just put in! These are the hard realities of kitchen renovation costs and expenses. Maybe you’re thinking that you won’t sell for a long time, or ever. But financially speaking, it always makes sense to treat your home as the asset it is, and not do anything that hurts it’s value. 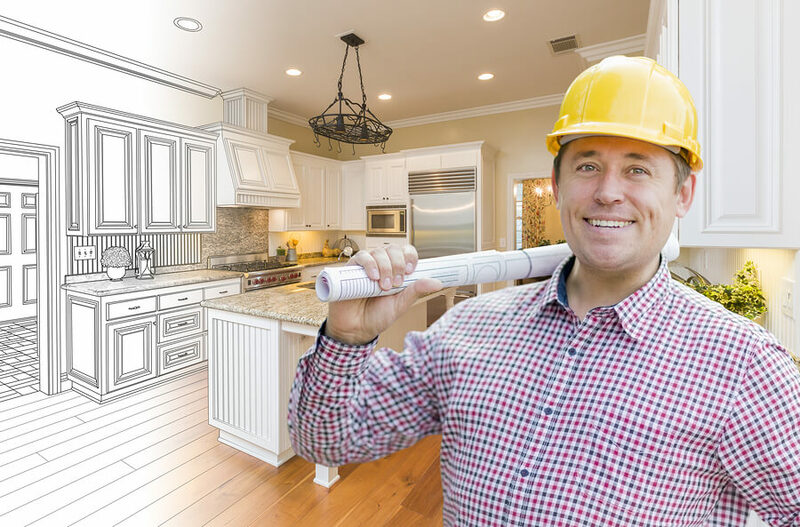 So simply put, hire a local kitchen remodeling contractor and plan a remodel that is in line with the value of your home. The cost of that kitchen remodel will most likely also compare to what your neighbors have been, or are, spending. Kitchens, like any part of a home get old. Tiles can crack, cabinet door hinges can get loose, counters can also crack, chip or discolor and seals around sinks can leak. Not to mention faucets can start leaking, and the list goes on. Also, with modern appliances, space for them, and counter space can also become unwieldy for what is available today. Quite often, old appliances don’t fit, or will create a real visual and functional disjunction between the existing kitchen and new appliances. Installing a new refrigerator, stove, dishwasher, microwave and toaster oven in an old kitchen means a lot of expense and the result will not be very satisfying. Either to use, or look at. For example, a new fridge may not fit an old space based on cabinet depth and location, so either modifications will need to be made, or it will need to be “jimmied” to fit. So paying new high efficiency appliances usually leads to the logical decision of a complete kitchen remodel. A recent kitchen remodel will always add value to a home, so it does make sense financially – as long as you don’t over improve. Plus, it’s easier to attract home buyers if you’ve done a full kitchen remodel. If it’s done right, some home buyers may even pay a premium for a home that has recently had a new kitchen installed. Over time, as appliances develop, and use of couter space changes, or the use of the kitchen changes – from just cooking to entertainment as well, older kitchens become disfunctional. 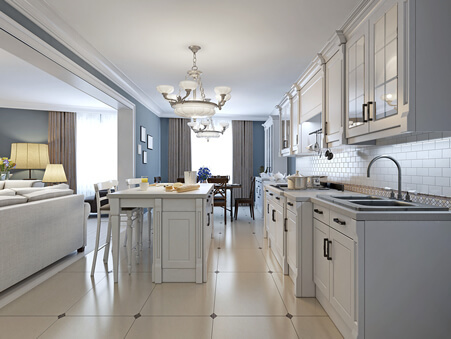 With newer open concept layouts, the daily use of kitchens have changed dramatically. People use the kitchen much more often for gathering while cooking, or just grabbing a snack and staying within the kitchen space. This functional change has meant that there’s been a blending of life activity with pure cooking activity. In this case, only a full kitchen remodel, with a new design and layout can fix that. You, or the previous owner of your new home may have taken great care in keeping the kitchen in top shape. But it’s outdated in both style and function. Here, use of the space, home value, function, energy savings, etc. All begin to play a role. Modern appliances may require an upgrade to your plumbing and electrical (or gas) connections in your kitchen just to be installed. At some point the patchwork of changes will start to not only become too expensive, but will start to make the kitchen look and function poorly. So modernizing your kitchen should be done al at once. You may have had your home – and kitchen – for many years. You may even like it, and love it. But you may also be looking for a change. With no plans to sell your home, you may just want a “new” home and remodeling the kitchen would satisfy your need for change. This makes sense from any perspective, and is not a frivolous waste of money. If you remodel your kitchen, it will not only satisfy your need for a change, but it will also add value, make your home more efficient, and of course more valuable. All too often people remodel their kitchen just to sell their home. In this case, you’d be doing ti for yourself, and concurrently increasing the value of what for most people, is their largest asset. You may now be in a position of having your dream kitchen built. 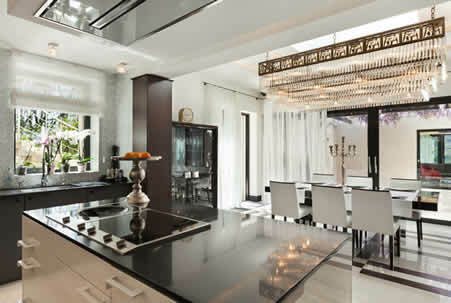 Now, this doesn’t necessarily mean your new kitchen needs to be over the top expensive. It simply means getting the kitchen of your dreams. If you love to cook, and entertain, then a gourmet kitchen means being able to do that in a comfortable, functional and attractive space, built exactly the way you want it. So there’s no need to directly associate the words “gourmet kitchen” or “dream kitchen” with high cost and ten thousand dollar refrigerators. 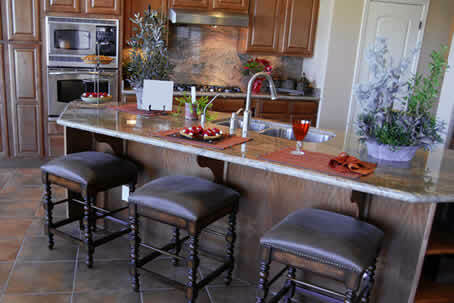 It simply means remodeling your kitchen according to your needs and preferences in style and appliances. Although this is probably not even close to the top reasons for getting your kitchen remodelled, it is in fact a reason for some folks. With the large number of home improvement shows on television, some people are turned into perpetual improvers. This may or may not be you, but as long as what you do actually (functionally) makes sense, stays in line with what the other homes are like in your neighborhood, it’s not a bad thing. However, if the average kitchen remodel cost in your area is about $18,000 and you spend $40,000, it may not be the best way to spend your money. There are a number of manufacturers rebate programs, old appliance trade in programs, government funded energy savings rebates, tax incentives or low interest loans supporting renovations which upgrade a home to the latest standards. Depending on your area and what your plans are, there may be opportunities to take advantage of such programs. If there are any available, your local contractor may be aware of them, so just ask. It’s important to be cognizant of the environment. Not just by reducing energy consumption and reducing our impact on our environment by minimizing gases released by fossil fuels, but buy using more green products in construction. A kitchen remodel would address these issues as well. By using the most efficient appliances and the most environmentally sensitive paints and materials – for cabinets and floors – many factors are addressed al at once. Of course, this means that you’ll have a new kitchen, will save on utility bills and add value to your home. So from this perspective, modernizing your kitchen in an environmentally conscious way achieves many end objectives. Can I Remodel My Own Kitchen? Your kitchen is probably the most complex part of your home, where design and layout are very important considerations in terms of functionality. Just about every specialized trade function is required – electrical, plumbing, flooring, cabinet making and appliance installation. And all the work has to be planned out and orchestrated carefully. Your kitchen represents a functional which is in daily use, so functional downtime is an unimportant consideration. The safety of installation needs to be monitored, so all the electrical and plumbing work is done properly. Usually done by a local inspector. Changes during construction can wreak havoc on your project – if it’s not planned out properly in the first place. All the materials and order of installation will need to be carefully orchestrated, ordered and delivered on time, otherwise the project can become very delayed, leading to significant disruption to your life. The entire kitchen will need to be completely gutted first – before the new kitchen is installed. All wiring and plumbing needs to be set up correctly, and all at once. Doing a kitchen remodel in parts is not advisable. 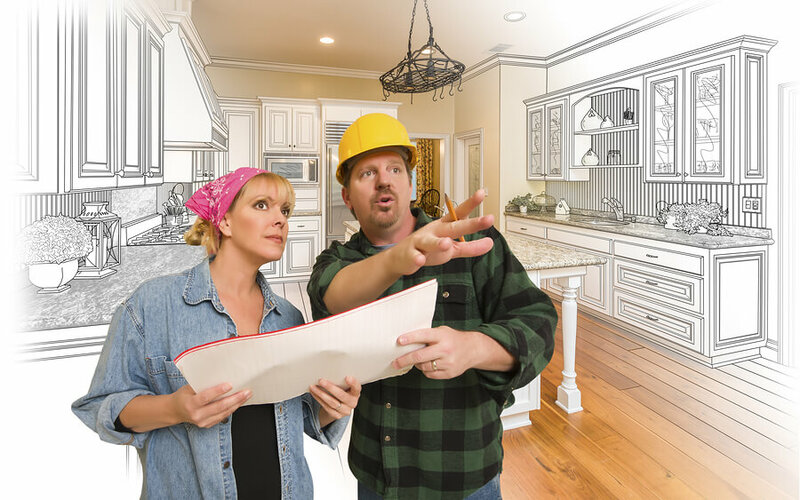 So unless you’re prepared to, or are able to manage your kitchen remodel project personally, there isn’t much saving in a complete DIY kitchen renovation. 1. Ask for references from recent kitchen remodel contracts. This is your top line consideration. A list of happy customers is arguably the best proof you can find. Keep in mind that no person or business can make everyone happy, so don’t expect a 100% perfect rack record. Don’t forget that some people – some of their clients – may have been unreasonable too! Most clients need to be happy, not 100%. That’s simply not possible. 2. 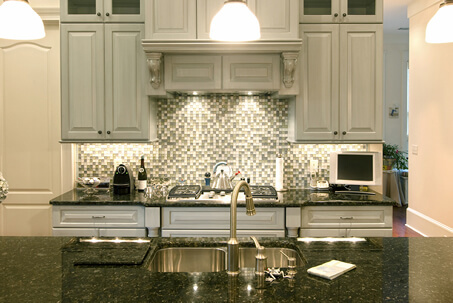 Identify their areas of specialty, so that you know your kitchen remodel project fits into their experience profile. 3. Confirm that they have proof of insurance for personal liability, worker’s compensation, as well as property damage coverage. 4. 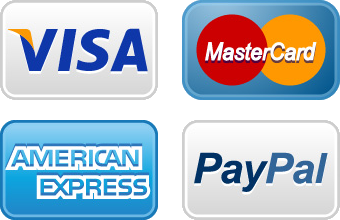 Confirm that they have proper an current local licencing certificates. 5. If you’re using a general contractor, verify the list of subcontractors they will use, and make sure that the subcontractors are also reputable. 6. Interview at least three contractors and request written estimates from all of them before you make a decision. 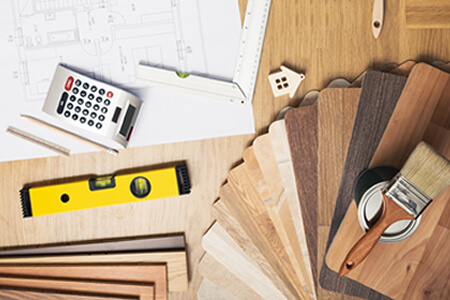 Your kitchen remodel project is a big investment, so take your time and do your homework. A poor design will leave your frustrated in how you use your kitchen every day. Whether it’s for cooking only, for entertaining or both. A good design must take into account the available space, how it can be optimized, and how the space is connected to other spaces in your home. Design consideration and ideas must efficiently blend how you’ll use your new kitchen and the type and location of your new kitchen appliances. The look and feel of your cabinets countertops and flooring will need to complement the rest of your home. A disjuncted kitchen will leave you – and the value of your home on the losing end in case of resale. As an extreme example: Don’t install a rustic kitchen in a new home where there rest of the home is ultra modern. Blending eras and styles doe work – but only if the designer is very skilled and can pull it off. Your design, in terms of the look of the cabinets and flooring should be characteristically clear if someone were to describe it. Like “The kitchen design is… Contemporary”, or “Coastal”, or “Traditional”, or “Mediterranean”, or “French Country”, or “Old World”. There are other styles of course, and they can be blended, as long as you don’t end up with a confused kitchen design, which will not do any justice to your home.